Summary. The objective of this research was aimed to compare student learning achievement between using the instructional innovation on creating e-Book and classroom traditional learning pre-learning and post-learning, and to examine the student satisfaction with Computer learning based on the "Big 6 Skills Model", and to investigate "e-Book" creating skills by using the Flip Album Vista Pro 7.0 program in Prathom 6 (Grade 6) elementary students of the Nibong Chanupatham School. In this study, the sample included a total of ninety students who were studying at Prathom 6 in the academic year 2016. The research instrument included the instructional plan, instructional innovation, tests, questionnaires, and e-book evaluation toward Computer instruction based on the "Big 6 Skills Model" of Prathom 6 students and the Rubric Score assessment. The results revealed that the outcomes of the students by using the instructional innovation on creating-Book post-learning were higher than classroom traditional learning, and student learning achievement by using the "Big 6 Skills Model" posttest scores was higher than the pretest scores. The students were taught using the innovative instruction on creating e-book reported the higher level of satisfaction with the instruction in Computer than those students with the traditional learning. In addition, it found that creating e-book skills were better improved with students taught using the innovative instruction than those students with the traditional learning. Key words: Learning Achievement, Big 6 Skills Model, Satisfaction, Instructional Curriculum, Instructional Innovation. Posing problems. In the challenges of information and technology age, the individuals are necessary to access to the information and self-development to obtain information properly; learning all the times is therefore important for the individuals to keep pace with diverse information. It is a society of continuous learning where people are needed from time to time to enhance their skills and learning opportunities and develop the information literacy skills and management for sustainable application of the knowledge . Computer has played an important role in learning and teaching together with the media known as "instructional innovation" that helps convey and transfer knowledge from instructors or learning resources to the learners as well as it help explain the content of the lessons to the students in the easy-to-understand way that the students may achieve their learning objectives. In addition, the instructional innovation also encourages the students to learn in more fun and happier way, and in the long term, it also results in the improved learning achievement. Consistent with Chuagngam , stating “Computer has many features applied suitably and efficiently to teaching and learning owing to its high performance such as content presentation, knowledge test, and exercises for learner’s comprehension, as well as it is an essential technology for the lives. 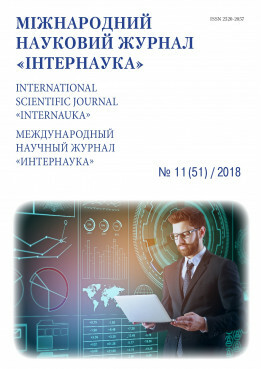 Therefore, the researchers have been of the interest to the application of the "Big 6 Skills Model" to develop the instructional plan integrated with learning by using the researcher-developed instructional innovation with the intent that the students will acquire computer literacy skills and use of technology effectively . In this study, electronic book (e-Book) was developed using Flip Album Vista Pro 7.0 as an instructional material, integrated with teaching methods where the individual differences are focused and to encourage the learners to acquire data management skills to generate knowledge composite, innovative presentation, and the sharing of useful data to others locally and nationally. Furthermore, the instructional arrangement principles call for instructional knowledge and insight of the instructors in order to urge the learners to approach the continuous learning process in which knowledge composite can be developed as well as unceasingly self-learning skills development physically, emotionally, socially, and intellectually . It does not matter whatever styles of learning and teaching is given, however; when it yields the learning, it is recognized an effective instruction . Main content presentation. The study of student learning achievement in the computer on creating e-Book and the student satisfaction with computer learning based on the "Big 6 Skills Model" in Prathom 6 students of Nibong Chanupatham School showed as follows. The students’ outcomes showed the significant difference between that students taught using the innovative instruction and those students with the traditional learning at the significance level of .001. The students’ outcomes showed the significant difference in computer course based on the "Big 6 Skills Model" between pretest scores and posttest scores at the significance level of .001. Student satisfaction with computer instruction based on the "Big 6 Skills Model" showed that the students reported a considerable satisfaction with computer instruction based on the "Big 6 Skills Model" a mean score of 4.37 (X ̅ = 4.37, SD = 0.45); the highest score of 4.44 (X ̅ = 4.44, SD = 0.48) on learning activity lesson design, the lowest score of 4.40 (X ̅ = 4.30, S.D. = 0.52) on learning activity integrated with the “Big 6 Skills Model". The student satisfaction with the "Big 6 Skills Model" showed that students taught using the innovative instruction were of the higher level of satisfaction with the computer instruction than those students with the traditional learning, and in each respect of areas; it found that students taught using the innovative instruction were of the higher level of satisfaction with content (X ̅ = 4.49, SD = 0.54) than students taught in traditional teaching (X ̅ = 4.11, SD = 0.42). Overall, average satisfaction was 4.47 (X ̅ = 4.47, SD = 0.43). The students taught using the innovative instruction were of the higher level of satisfaction with the content (X ̅ = 4.56, SD = 0.42) than those students with the traditional learning (X ̅ = 4.31, S.D. = 0.51); average satisfaction was 4.44 (X ̅ = 4.44, S.D. = 0.48). The students taught using the innovative instruction were of the higher level of satisfaction with learning activity integrated with "The Big 6 Skills Model" (X ̅ = 4.49, SD = 0.54) than students taught in traditional teaching (X ̅ = 4.11, SD = 0.42); average satisfaction was 4.30 (X ̅ = 4.30, SD = 0.52). Overall average satisfaction of the students was 4.38 ((X) ̅ = 4.38, SD = 0.45), and in each respect of areas, the significant difference was found between the students taught using the innovative instruction in computer on creating e-book and those students taught in traditional teaching at significance level of .001, and in each respect of areas; the significant difference was found on content at significance level of .001, on learning activity lesson design at significance level of .01, and on learning activity integrated with "The Big 6 Skills Model" at significance level of .001. The E-book" creating skills by using the Flip Album Vista Pro 7.0 program in Prathom 6 students of Nibong Chanupatham School, Yala Educational Service Area Region 1, adopting the "Big 6 Skills Model" and traditional learning was found a significant difference at the significance level of .001. The results showed that the students taught using the innovative instruction on creating e-book reported the higher level of satisfaction with the computer instruction than those students with the traditional learning; they were more eager to learn than those students taught with traditional learning, and students showed improved understanding of the content and improved performance a great deal. Conclusion and future works. The students taught using the innovative instruction on creating e-book were more satisfied with the computer instruction than those students with the traditional learning; namely, they were more eager to learn than those students taught with traditional learning, they improved understanding of the content and were able to meet the excellent performance outcomes. Also, the "Big 6 Skills Model" is an integrated information skill and technology that students can use information technology as a tool to seek information and analysis effectively. Most of them were happier and more likely to learn information, especially to the extent which they may access to the source of knowledge as they desire and self-determination on learning, the opportunity to seek knowledge from various realistic sources internally and externally and across the internet network. The recommended instructional arrangement with the use of supporting sheets as a guideline for continuous learning management in the computer to develop e-book creating skills to the more sophisticated and the higher level should be manipulated by the instructor. The "Big 6 Skills Model-based teaching methods for the different content and levels should be provided and developed by the instructor, because it can stimulate learners to an effective systematic learning, especially a focus on skills and more practical approach. The research and development of teaching methods integrated with instructional innovation should be carried out for further application benefits to develop the appropriate instructional procedures. The instructional innovation should be developed and applied to other classes for the higher learning achievement, as well as skills and practices in all fields or lifestyle. The practical skills at all levels to widen the skillful performances should be investigated. The samples with upper demographic diversity should be explored as it may lead to developing the more appropriate curriculum in the future. Technology performance-focused learning skills should be examined. Acknowledgments. Gratefully, thank all the board of executives, faculties, and students of the Nibong Chanupatham School for the academic year 2016 that are concerned in the contribution to data collection, as well as the experts assessing the instrumental validity. Achanya Rattana-ubol, et al. Research project on development of information literacy enhancement model for Thai society. Bangkok: Faculty of Education, Chulalongkorn University. – 2007. Aporn Jaithiang. Principles of teaching (revised edition). Bangkok: Odeon Store Publishing. – 2003. Kanya Thong-oun. Development of Project-based Learning Activities on Local Wisdom, Learning Area of Matthayom 3 Social Studies, Religion and Culture Subject Area, Master’s Thesis in Education, Mahasarakham University: Mahasarakham. Educational technology and innovation. Bangkok: Arun Printing. – 2009. Palita Buasidam. Using the Big Six Skills Based Learning Lesson on the Introduction to Information and Computer Affecting Learning Achievement and Problem-Solving Skills Using Information Technology of Prathom 5 Students. Mater’s Thesis in Educational Technology, Mahasarakham University: Mahasarakham. – 2008. Tissana Khaemanee. Teaching Science is a knowledge composite for effective learning arrangement. Bangkok: the Chulalongkorn University Press. – 2010. Veradech Chuagngam.Development of Information Technology Curriculum for Prathom Suksa 5 and 6 Students. Department of Curriculum and Instruction, Faculty of Education, Chulalongkorn University Bangkok: Chulalongkorn University. – 1999.